We spend so much of our working lives on our computers that it’s easy to forget that they can be an artistic outlet as well. But you don't have to be a master illustrator or shell out hundreds of dollars for software just to enjoy some creative recreation. Setapp offers a range of apps that turn your Mac into your own private studio, no brushes required. How do you draw and paint on a Mac? Whatever your skill level, drawing a little bit every day has clear psychological benefits. And what better way to get into the habit than to start sketching, doodling, and even painting right on your computer? Of course, part of the fun of the digital world is that it can make so many colors, textures, and effects available. You’ll want something that gives you access to this wide range of options without being too complicated. 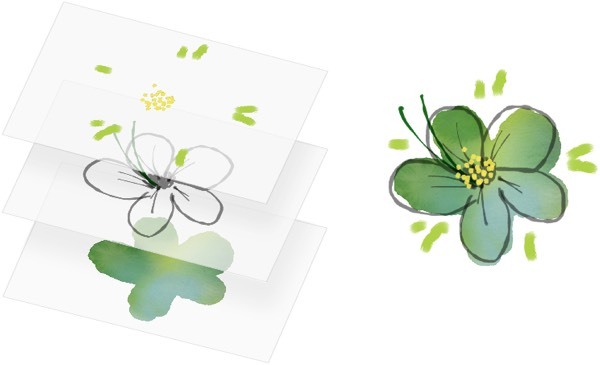 Tayasui Sketches is a great place to start drawing on your Mac. This robust tool for the Mac packs a ton of functionality into a minimal interface, letting you focus on your creativity, not on the buttons. Plus, the background and brushes all give the sense of drawing on real paper, not a blank digital canvas. 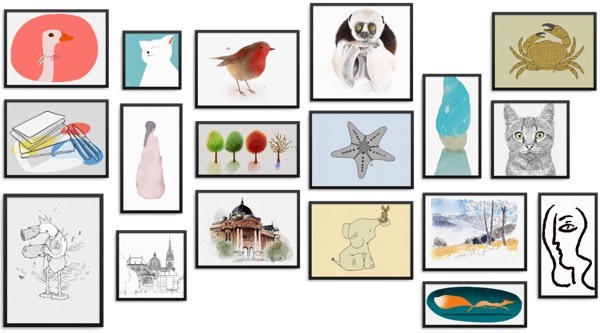 You can draw using your mouse, or attach any standard tablet for the flexibility that a stylus or Apple Pencil provide. The app provides a number of tooltip options for its paintbrush tool that mimic the effect of real paintbrushes. 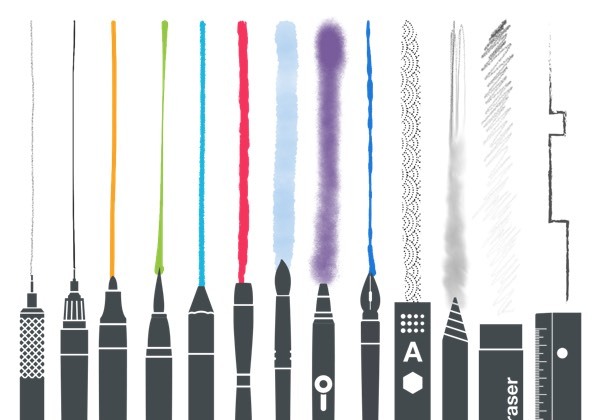 Simply select the brush, pencil, or marker type you’d like to use, choose your color, and start painting. The tooltips mimic the physical qualities of different media; markers offer a thick, opaque line while watercolors are semi-transparent on the page, bleeding and fading to different intensities for a looser look. As you work with the app, you’ll get a sense of each medium’s opacity and learn how to incorporate them into your unique style. 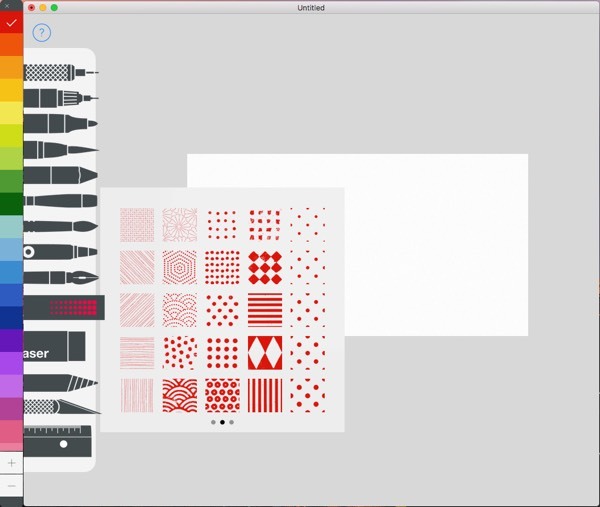 With Tayasui Sketches, you can create an unlimited number of layers to draw on. This lets you lay down foundation sketches before you come in with a paintbrush or marker. You can also experiment with different washes and overlays on top of your drawing without fear of ruining it. With layers, you can create try out various styles and versions of the same painting, or even delete underlying layers for an interesting effect. If you’d like to improve your painting and drawing, or show others how to achieve the same effect, you can record your process to review later or share online. Nobody becomes a master overnight, but by referring back to paintings you’re proud of or soliciting advice from other artists on your technique, you’ll know where to focus your effort. Plus, you’ll have the whole record of your improvement in one place. Once you’ve gotten comfortable with drawing and painting, you can use a number of apps available through Setapp to push your work to the next level. Sip lets you add any color you encounter on the web to a set of endlessly customizable palettes. It seamlessly integrates with paintbrush apps for the Mac, including Tayasui Sketches, so you can use colors you sample in your own work. 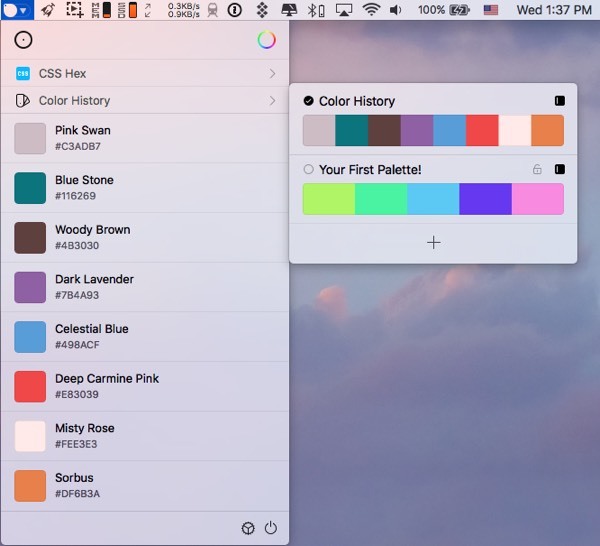 The app lets you zoom in and out to select exactly the right source shade, plus its built-in color editor lets you adjust your selected shades as needed. As strong as your painting skills might be, everyone can benefit from a little post-production help. That’s where CameraBag Pro comes in. This robust image editor is set up with beginners in mind. Even if you’re not a PhotoShop pro, you can sharpen, blur, and make small corrections with ease. You might also find that the app’s extensive collection of filters add another layer of complexity to your work. Keeping track of your work can be a challenge, especially when you’re producing variations on the same image. 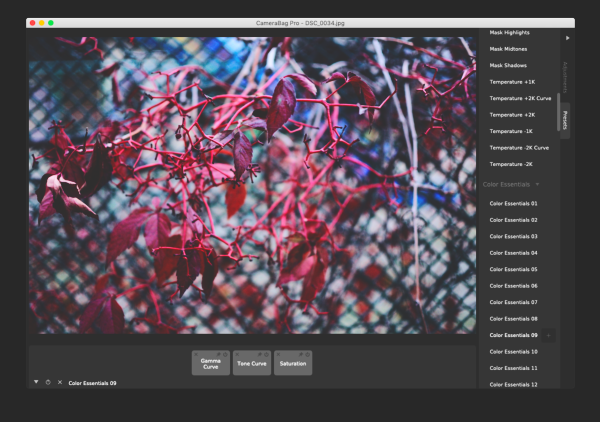 The image managing app Emulsion lets you examine, annotate, and organize files in folders and cataloging your image library using multi-level tags from a single window. You’ll be able to set up automatic tags for different projects, zoom in to the pixel level with its loupe function, and export your work in any image format. Plus, Emulsion lets you size, crop, and share your images with ease, integrating seamlessly with dropbox and other cloud hosting services. Between its flagship drawing and painting tool and its suite of helpful image enhancers and organizers, Setapp can help both beginners and experts get over MS paint once and for all. Make sure you get the right tool (and the right tooltip) for the job.